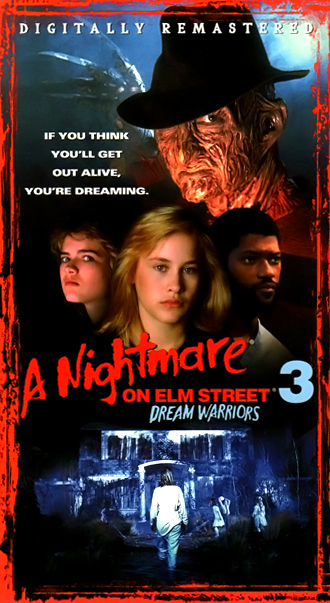 “Don’t fall asleep” — words to live by for Elm Street teens. 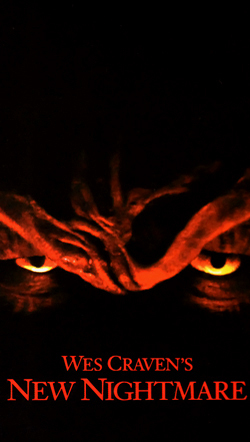 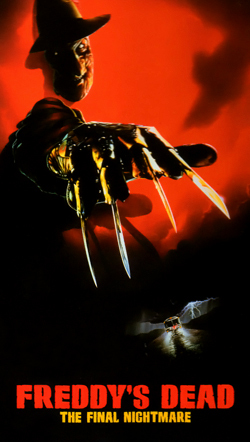 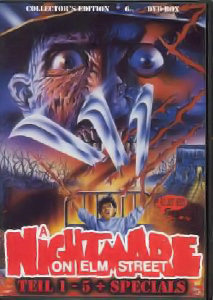 Not a problem for fans wide awake with fear (and glee) as they experience these first Nightmare films released from 1984 to 2003. 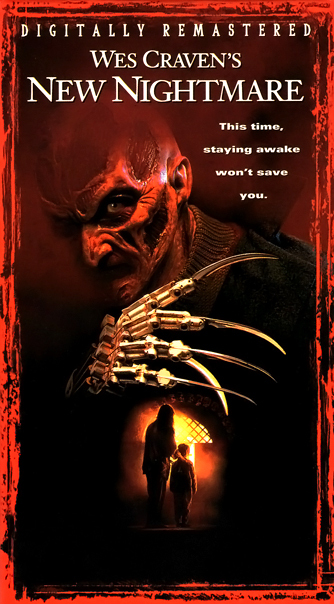 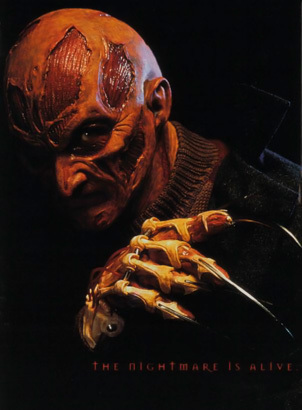 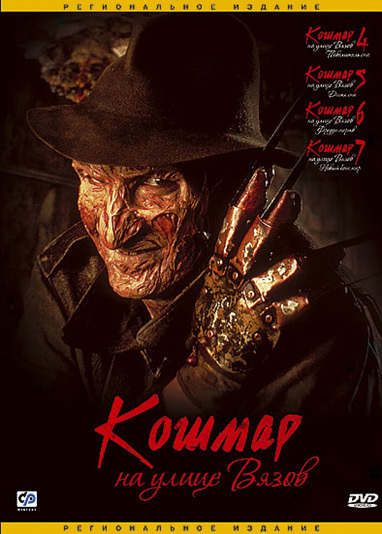 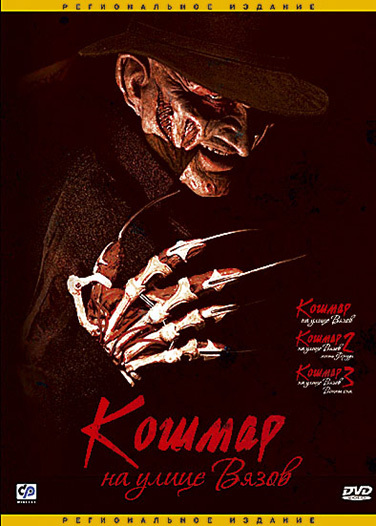 Each features Robert Englund’s masterfully macabre incarnation of slouch-hatted, razor-fingered Freddy Krueger, who mixes wicked wit with even wickeder mayhem as he haunts teens when they’re asleep and most vulnerable. 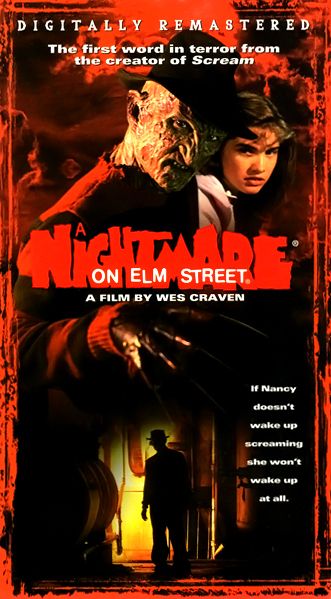 A newspaper article about children who died after having fearsome nightmares provided the real-life springboard for filmmaker Wes Craven’s breakthrough series. 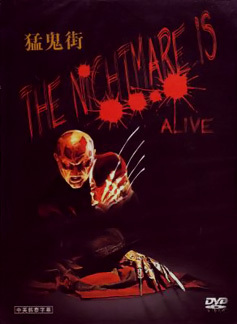 Perhaps that underlying reality helps make these shockers so unnerving. 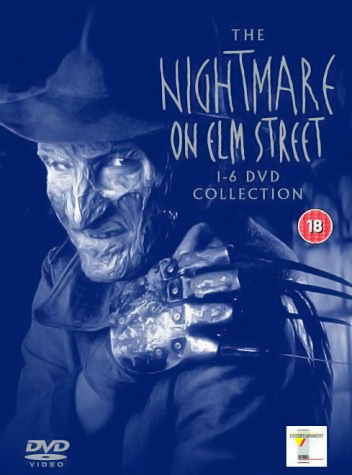 Or maybe it’s just that we all like a good scare… and that this series consistently, imaginatively delivers some of the best! 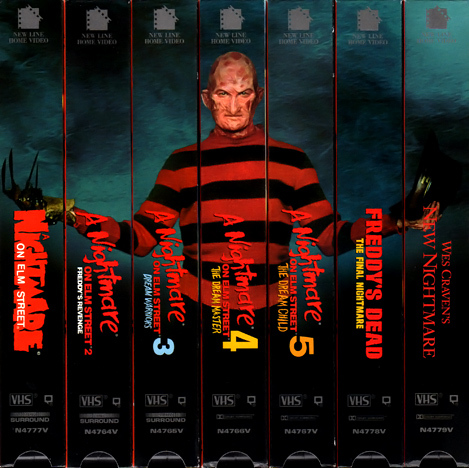 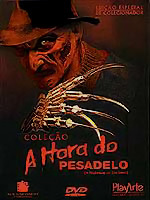 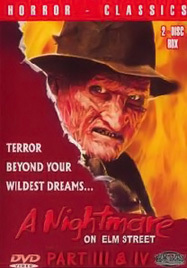 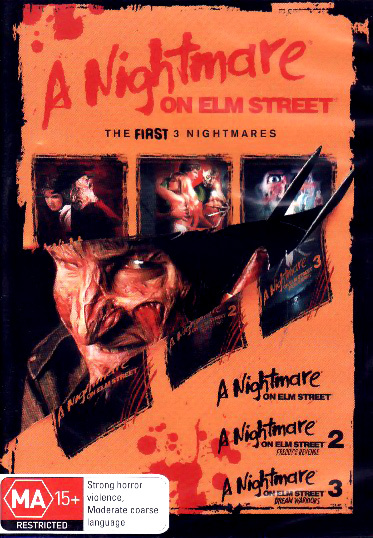 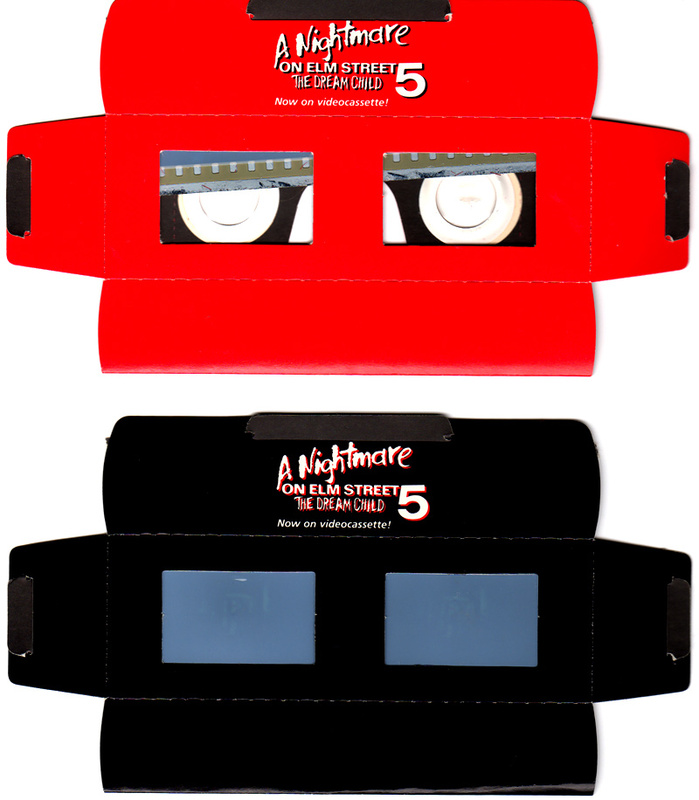 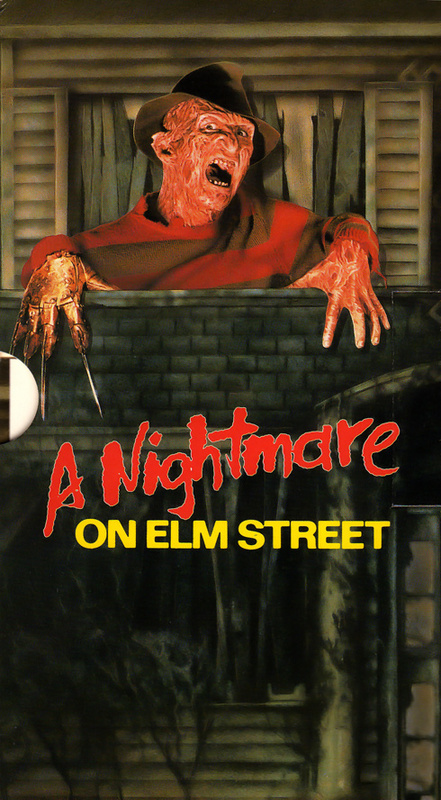 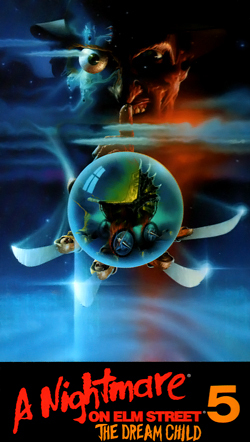 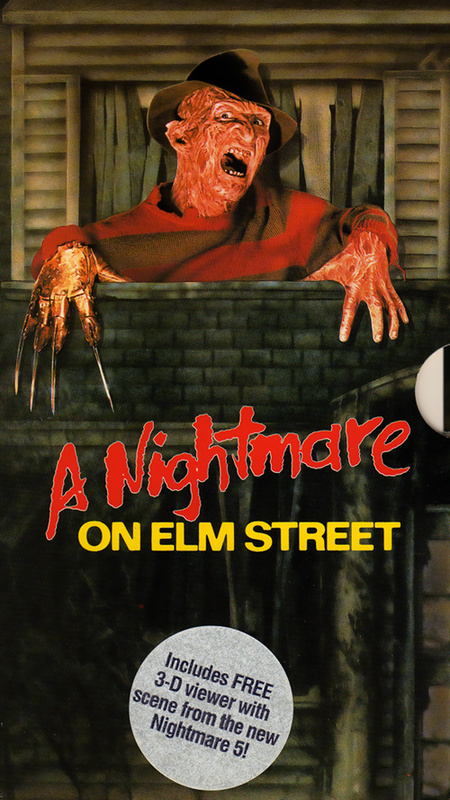 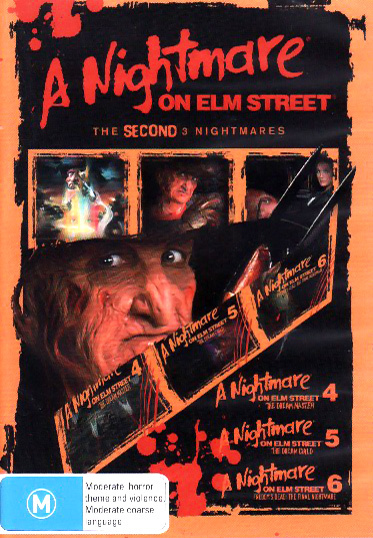 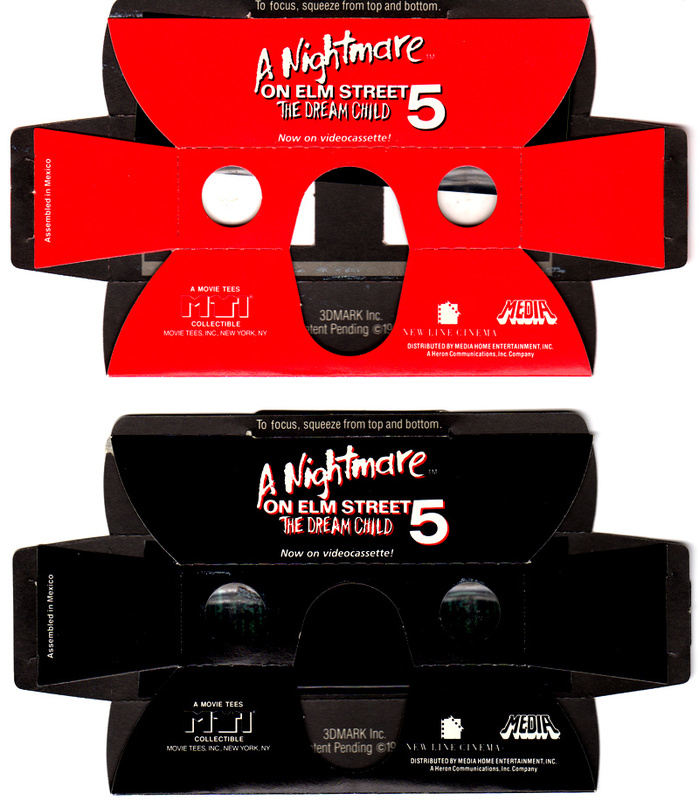 Home video collections for the Nightmare on Elm Street series are available in many regions around the world. 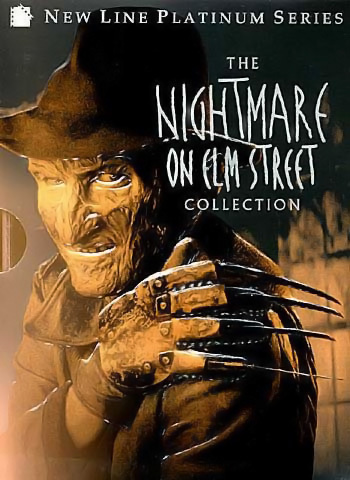 Some of these collections include the series in full while others only offer select entries. 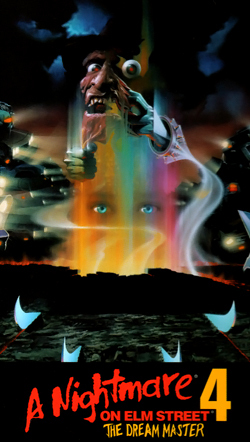 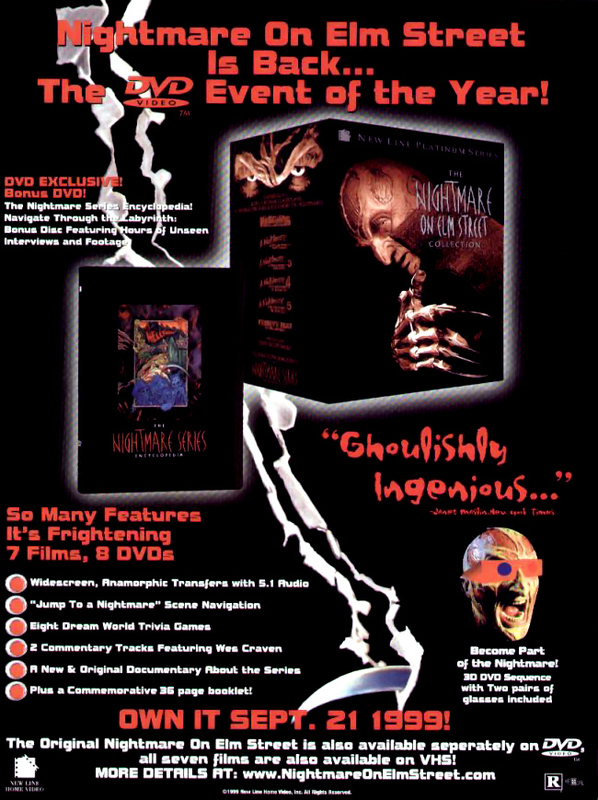 Formats include Blu-ray, DVD, and VHS. 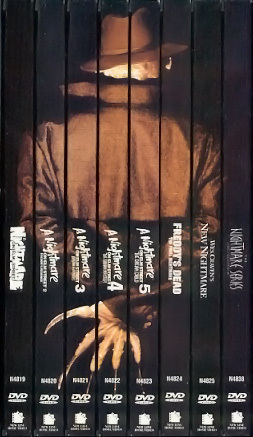 See below for available editions. 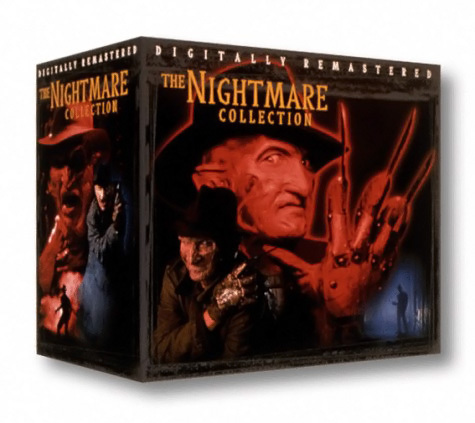 Special features for this collection were culled from previous DVD releases and The Nightmare Series Encyclopedia. 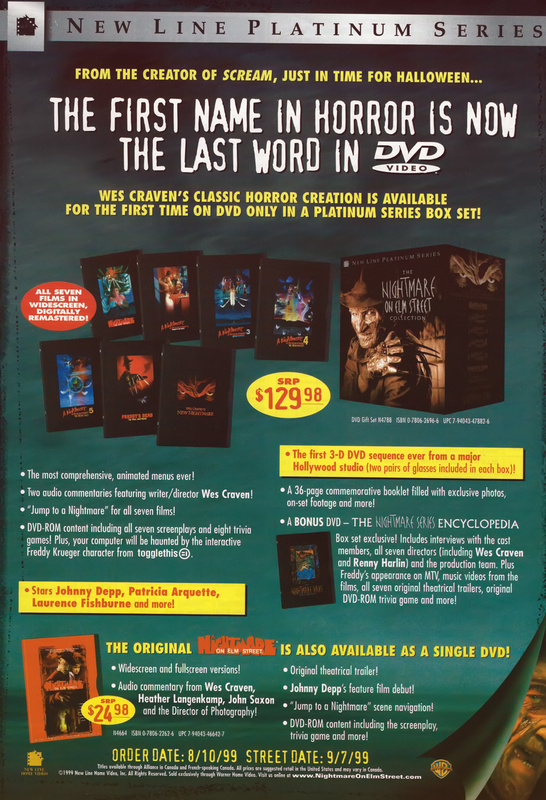 See below for a detailed list of the special features for each disc. 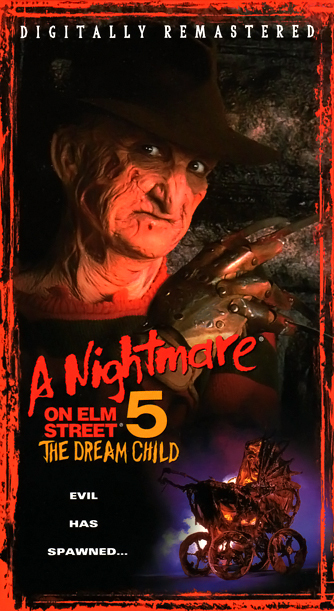 Disc 8: The Nightmare Series Encyclopedia: A bonus disc available only in the boxset! 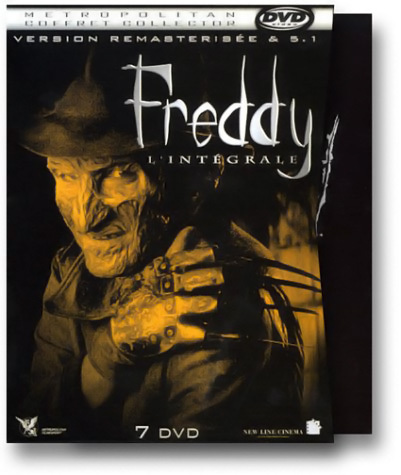 Includes interviews with cast members, all of the directors and the production design team. 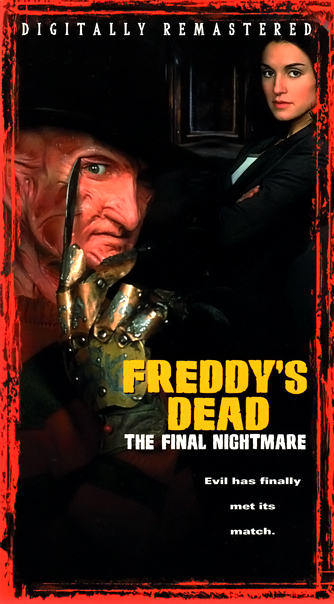 Plus never-before-available footage (like Freddy’s appearance on MTV! 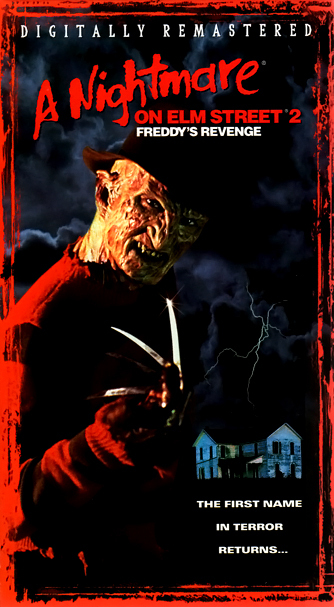 ), music videos from the films, original press kit materials, and all seven theatrical trailers. 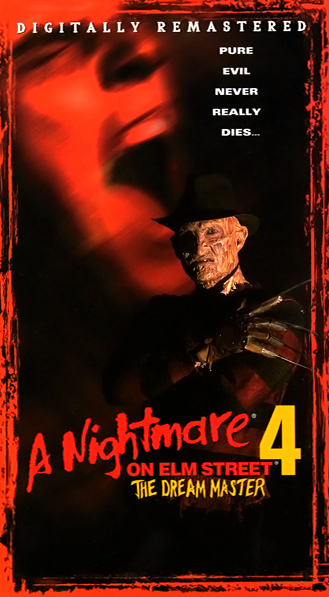 DVD-ROM content includes all seven screenplays, trivia games, and an interactive Freddy Krueger to haunt your computer! 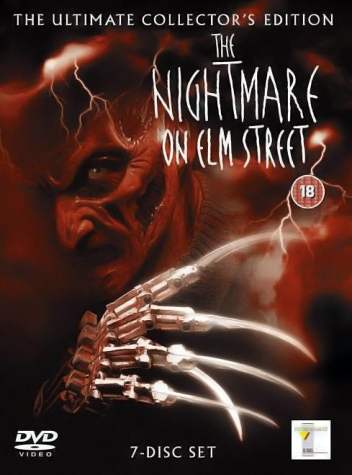 Each film has been digitally remastered in full screen and includes the original theatrical trailer and an interview with the film’s director. 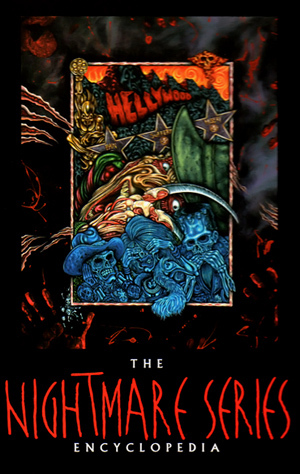 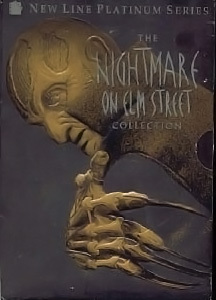 Special features for this collection were culled from previous DVD releases and The Nightmare Series Encyclopedia. 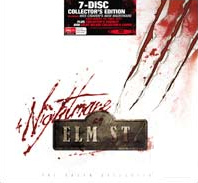 See the UK listing above for a detailed list of the special features for each disc.